If you did not grow up with a vegetable patch in your house or never handled a shovel, the idea of gardening can be overwhelming. Plus, so many people in the city live in apartments. Shouldn’t we accept our concrete jungle as the compromise for urban life? According to a movement of urban gardeners, the answer is no. Community projects that focus on increasing awareness for gardening and edible gardens are sprouting in the Klang Valley. Transforming tiny spaces into patches of green may be a challenge, but you’re in good company. Whether you’re a parent looking to introduce your kids to a fun, outdoor activity or an experienced gardener looking for more ideas, here are four groups to check out. 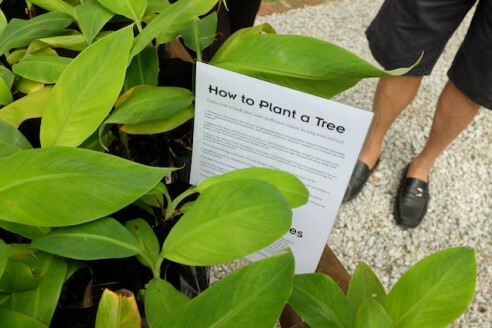 The Free Tree Society is run by volunteers and based in a corner of residential Bangsar. Their mission is simple: give away plants to the public for free. The group take seeds, sprout them and look after the seedlings. They then give away a few hundred seedlings to the public on selected days. There are weekly gardening sessions. There are two ways you can be involved. First, you can sign up as a volunteer to collect seeds for conservation. There are basic guidelines on what to do and you’ll pick up a few interesting tips along the way, like how to ensure that seeds are well ventilated. Or how to identify good quality seed from those that are unsound or empty. 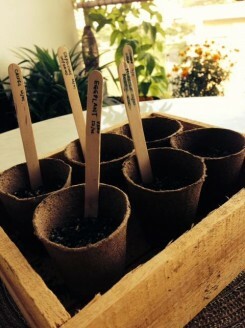 Secondly, you can offer your garden as host nurseries to grow the seedlings. Finally, if you just want to pick up some free plants and tips, that’s fine too. Keep an eye on their Facebook page for giveaway days. The founders of this social enterprise are three individuals with varied backgrounds, from fine arts to community development and permaculture. Together, they encourage urbanites to grow their own food. 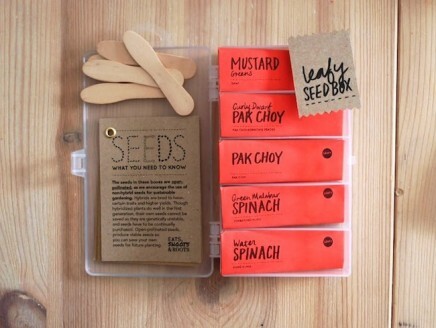 Their seed boxes (pictured) make it really easy to get started. Although these have sold out, they will be making more soon. It may be one thing to grow a frangipani bush in front of the house, but growing organic long beans and eggplants require far more technical know-how. If you’ve got a more ambitious project in mind, Eats, Shoots & Roots can design and plan the garden and also facilitate the process of building the garden beds. They also run a range of classes: past workshops have included building a cob oven, and a future one in March will be held on composting. 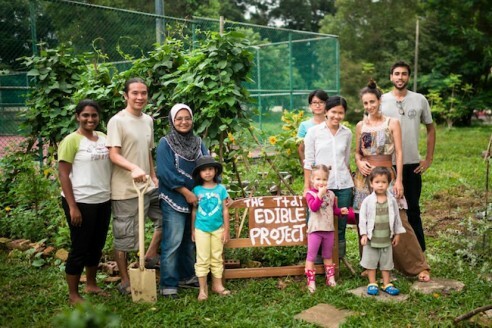 The TTDI Edible Project is guerilla gardening at its best. A few like-minded individuals, led by resident Miriam Loh and friends, took ownership of a vacant plot next to the community hall in TTDI, defied skeptics who said it was barren land and turned it into an edible garden. They started out planting whatever they could get their hands on and now there are now rows of cucumber, passion fruit and chives, among other produce. The group is very particular about not buying things for gardening purposes and uses creative and natural methods to sustain the garden. This includes hunting for bamboo to be used as A-frames to plant beans and sourcing horse manure as fertilizer. This garden is for everyone, particularly TTDI residents and friends. If you want to try your hand at growing your own food and can afford the time and commitment, you can adopt a small plot and cultivate it. Or, if you just want to spend a few hours in a vegetable patch, the group sometimes organizes weekend volunteer activities where you can participate in simple tasks like labelling the plants. TTDI Edible Project Facebook Group. Urban gardeners, just like any small interest group, rely heavily on inspiration from others. Cultivate Central is an online platform to help share tips and support on gardening. Cultive Central was founded by Nova Nelson to inspire other people to take interest in the story of their food and grow food in the city. The website documents ideas, stories, challenges and progress of other urban gardeners who started cultivating their own edible gardens in various parts of Malaysia such as Kuala Selangor (KebunKakiBukit), Serdang (Kebun GangChaos) and Penang (Think Green). The site also hosts lively discussions on common gardening problems and readers swaps tips on a range of issue from composting to how to produce natural pest repellents. This article originally appeared on on Poskod.My here. 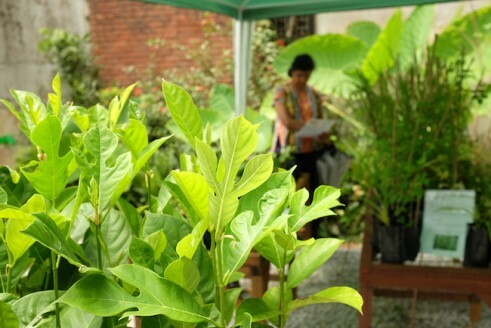 #BetterCities will be hosting a talk on urban gardening, “From Farm to Fork”, on 31 May 2014 (2.30pm). Stay updated on their our Facebook page.